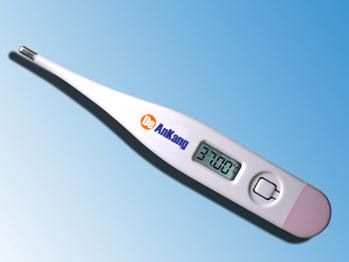 Digital basal thermometers offer safe and highly accurate basal temperature readings. An audible beep signals the completed measuring process once peak temperatures are reached. An automatic fever alarm sounds when temperature reaches 37.8 or higher. The last measured reading is automatically stored in memory, allowing users to easily track their temperature levels. Digital basal thermometers provide temperature readings within1/100th of a degree; significantly helping identify ovulation timing for family planning.